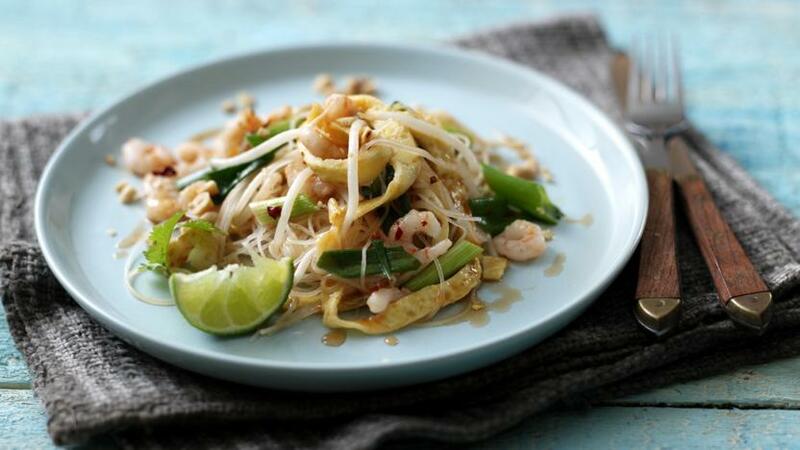 Try Jill Dupleix's simple recipe for authentic pad Thai noodles. Grind the dried shrimps to a fluffy powder in an electric coffee grinder (you can clean out the grinder by whizzing raw rice in it). Cover the noodles with boiling water and leave for 15 minutes or until al dente. Rinse in cold water and drain well, then use 1 tsp of oil to coat your hands and run them through the noodles to help prevent sticking. To make the omelette, heat 1 tbsp of the oil in a wok and swirl to coat the surface. Pour in the beaten eggs and swirl to make a very thin omelette. 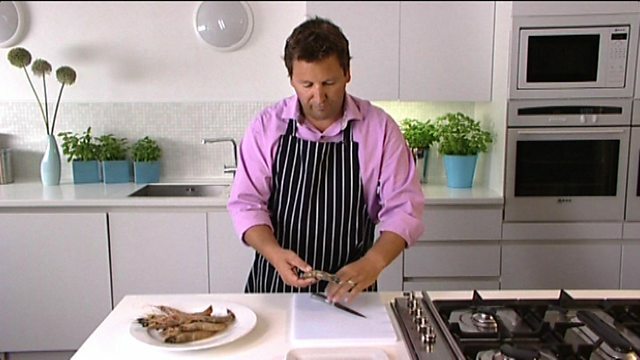 Run a knife around the edge, turn out, slice into strips and set aside. To cook the noodles, add remaining oil to the wok and heat. Add the garlic and the prawns and toss over high heat. Set the prawns aside. In turn, add the noodles, omelette strips, bean sprouts, spring onions, shrimp powder, fish sauce, ketchup, lime juice, chilli and sugar, tossing constantly over high heat.